This lemming-like belief in the power of the Federal Reserve generates its own psychological force field, of course; the actual power of the Fed is superseded by the belief in its power. The widespread belief in the Fed’s omnipotence is the source of the Fed’s power to move markets. We can thus anticipate widespread disbelief at the discovery that the Fed is either irrelevant or an impediment to the non-asset-bubble parts of the economy. Once ensconced in the comfort of the Fed Cargo Cult, it’s easy to believe that the Fed-inflated asset bubbles in stocks, bonds, and real estate are either the most important sectors of the economy, or they accurately reflect the real economy. But if we emerge from the dark hut of the Fed Cargo Cult into the bright sun of reality, we find that everything that really matters in the real (i.e., non-Wall-Street) economy is outside the control of the Fed. The Fed controls the Fed Funds Rate; i.e., the lending rate between banks. The Fed can influence interest rates in the real economy by buying and selling Treasury bonds and other securities; i.e., increasing or decreasing liquidity/money supply. The Fed can make funds available to the financial sector. 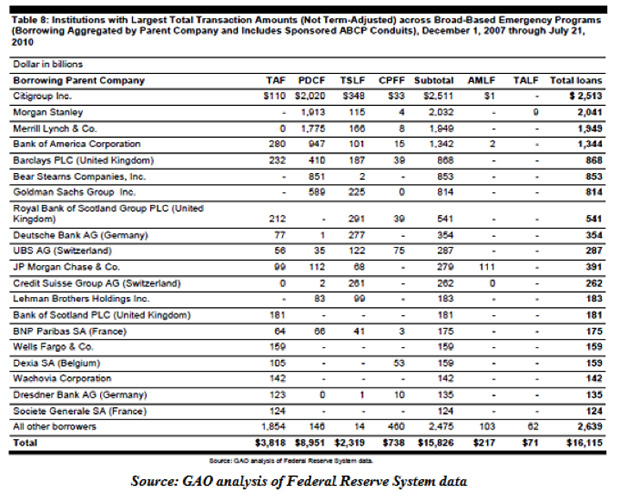 During the 2008 Global Financial Crisis, the Fed loaned over $16 trillion to large global banks. This is roughly equal to the entire gross domestic product (GDP) of the U.S.; all residential mortgages in the U.S. total about $9.4 trillion. That this is, strictly speaking, not completely within the Fed’s power is left unsaid, lest the magic dissipate. It cannot force any enterprise or person to borrow more money. 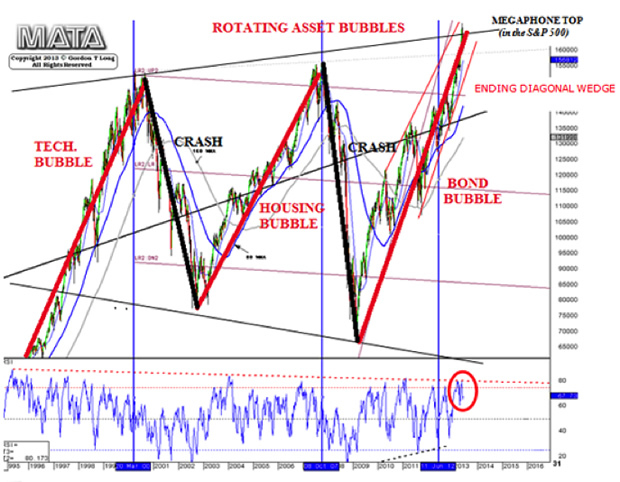 It cannot differentiate between productive investments and financial speculation/malinvestments. It cannot distribute money to households by dropping cash from helicopters; all it can do is make money available to banks. Since it can’t do any of these, its powers in the real economy are severely limited. In actuality, the Fed has little control or influence over the things that really matter in the real economy. Innovation is often a meaningless buzzword (think “financial innovation”), but it is also the key driver of wealth creation in the real economy. The Federal Reserve could be shut down and all its asset bubbles could pop, and innovations in energy, agriculture, transportation, education, media, medicine, etc. would continue to impact the availability and abundance of what really matters in the real world: energy, knowledge, water, food, and opportunity, to name a few off the top of a long list. It is rather striking, isn’t it? The supposedly omnipotent Fed has virtually no positive role in the key driver of wealth creation. On the contrary, the Fed’s policies have had an actively negative influence, as its monetary manipulations have distorted the investment landscape so drastically that capital pours into unproductive speculative bubbles rather than into productive innovation because the return on Fed-backed speculation is higher and the risk is lower (recall the Fed’s $16 trillion bailout of banks; including guarantees, the total aid extended by the Fed exceeded $23 trillion; the landscape looks different when the Fed has your back). Profits from speculative gambling in malinvestments are yours to keep, while losses are either transferred to the public or buried in the Fed’s balance sheet. Why bother seeking real-world returns earned from real innovations? Apologists within the Fed Cargo Cult’s gloomy hut (repetitive chanting can be heard through the thin walls—humba, humba, aggregate demand!) claim that the Fed’s financial repression of interest rates boosts innovation by making money cheap for innovators to borrow. But this is precisely backward: cheap money fuels unproductive speculative bubbles and siphons resources away from innovation, while high interest rates reward innovation and punish malinvestments and financial gambling. Let’s say J.Q. Public has the opportunity to borrow $1 billion at 0% interest rate from the Federal Reserve. It costs absolutely nothing to keep the $1 billion. How careful will J.Q. be with the $1 billion? There’s a casino open; why not bet a few thousand dollars at roulette? Actually, why not bet a couple of million? If J.Q. loses the entire $1 billion, there’s no recourse for the lender, while J.Q. gets to keep the winnings (if any). With essentially free money, there is little incentive to seek out long-term real-world investments that might pay off in the future, and every incentive to seek financial carry trades that generate short-term profits with little risk. In other words, if you can borrow money at 1%, then shifting the funds around the world to lend at 4% generates a 3% return with modest risk. Since 3% guaranteed return beats the uncertain return of investing in innovative real-world companies, the carry trade is the compellingly superior choice. If we can only borrow money at an annual rate of 10%, there aren’t many carry trades available, and those that are available are very high-risk. At 10%, we have to sharpen our pencils and select the very best investments that offer the highest returns for the risk. Let’s say you’re an entrepreneur and it costs 10% per annum to borrow money to pursue a business opportunity. The only investments that make sense at this rate are the ones with outstanding risk-return characteristics. In other words, cheap money doesn’t incentivize risky investments in high-return innovation; it incentivizes carry trades and financial speculation, which actively siphon off talent and capital that could have been applied to real-world enterprises. High real interest rates force entrepreneurs to choose the best investments, a process that favors high-risk, high-return innovations. The Fed isn’t supporting innovation in the real economy; rather, it is actively widening the moat that protects the banking sector from disruptive innovation. Thanks to innovations in technology, it is now possible to bypass borrowing entirely and raise money for innovative ventures with crowdsourcing. It doesn’t take much insight to look ahead and see that the crowdsourcing model could expand to the point that the economy no longer needs Too Big to Fail Banks at all: Virtually all lending, from commercial paper to home mortgages, could be crowdsourced, managed, and exchanged online. This sort of real financial innovation is anathema to the Federal Reserve, of course, as its primary task (beneath the PR about maintaining stable prices and employment) is enriching and empowering the banks. There are only two ways to deal with innovation: either dig a wider regulatory moat to protect your cartel, monopoly, or fiefdom from disruptive innovation, or get on the right side of innovation and evolve amidst the inevitable disruption. Unfortunately for centralized institutions like the Fed, innovation always jumps the moat and disrupts the Status Quo, despite its frantic efforts to protect the perquisites of those skimming cartel-rentier profits as a droit de seigneur. In Part II: How You Can Limit Your Exposure to the Fed's Financial Interference, we look more deeply at critical dynamics of the economy that the Fed can and cannot influence – and more importantly, what we can do to protect ourselves from the implications of the Fed's efforts. There is much we, as individuals, can do to ignore the Emperor's clothes (or lack thereof) and focus on how to pursue our own prosperity and happiness irrespective of the meddling of central planners. The real power is in our hands, should we choose to believe it. chris mentioned in a past article that the gov't needed to increase growth/debt by about 105 trillion in this period and i think this is what we are seeing...the creation of that growth/debt. why dither about the details...when right before our eyes they've pulled it off. the powers that be are printing whatever they want .period. it's a virtual financial structure. there is a story for everyone out there for why this is happening. i think comments like calling this the "real" economy only add to the public's williness to believe in the fed, the gov't etc.it is not the "real" economy. there are many economies that make up the usa financial system. i know a large part of the us economy is people who live, work, eat, trade in the "underground". the markets, the fed don't really affect people here. they don't even listen to the news . let alone dissect it. the gvt prints out their food stamps and welfare checks out of thin air, so no one is paying for them. as long as the media can get you to think you are paying for this, then presto, they've kept the populace divided and reduced the threat of revolt. i like most of CHS's concepts but i wish he would use normal terms . i can't show his articles to some of myfriends because he goes off the deep end with his terminology of cargo cults etc, which means less people get the message. as our complex society collapses, we've already experienced the loss of a stable secure predictable financial game, and it will continue to be less secure.i don't depend on my accumulated wealth to feel secure. What about a new Fed chairperson? Is this the right time/place to ask Charles' opinion of the apparent front runner for Fed chairman, Larry Summers? Cheap money distorts a lot of things. I'm no economist, but my here's my attempt at an analogy that helps me make sense of the current state of the financial world. It's all just debt chasing ever more abstract forms of itself. A snake eating its own tail. As long as it was climbing a spiril staircase of energy it never had to feed on itself. Now we appear to be at or near the top of the stairs and the bloated snake is devouring itself. It's antiquated nervous system isn't sending it the pain signals it needs to know that this is not a good survival strategy. I would like to know more about what the causes are that allow innovation to jump this moat? In my imagination this relationship is more like a damn and a river. They do allow innovation thru as long as it doesn't disrupt Status Quo, thus relieving the pressure. I think Mr. Tesla got caught up in this mechanism multiple times. The negative impact of FED and Wall Street Arm is much more than any positive impact. So the FED is very powerful to affect negative outcomes. ...do they? Japan, Europe? I don't think so. They stick their noses there but they can't change anything really. I think the Fed better worry about their own institution and whether it will even have the powers to do anything in the not too distant future. I have been reading alot about the tapering and slews of opinions. September seems the logical start. Chris called September or before on a serious correction occurring, and well, I am rooting for Chris as I just want a reset, no matter the pain as pain is coming anyways. Guaranteed.